That's enough to make anyone's head spin. As a result of that platform-defying setup, though, Chromebooks can now handle all sorts of advanced productivity tasks and are viable far beyond their original web-centric focus, when the concept was quite literally just a "browser in a box" — a full-screen Chrome window with no desktop, nothing resembling a traditional app, and next to no options to consider. But with power comes complexity, and — you guessed it — the weakness of Chrome OS today is that very same versatility. With so many types of apps and so many sources for software, it's almost impossible to know where to begin and how to get started on your Chromebook adventure. And that's to say nothing of figuring out the finer points of the operating system and how to optimize the environment for efficiency. The interface itself may still be relatively minimalist, compared to other operating systems — with its customizable dock (the "shelf") for holding frequently-accessed programs, its scrolling app drawer (the "launcher") for finding everything else installed on a system, and its Android-reminiscent settings and notification panel — but beyond that unassuming surface, there's actually a fair amount going on. For a platform once touted for its simplicity, things sure have gotten complicated. But they don't have to be daunting. Follow this carefully crafted guide to getting started with Chrome OS — both finding the right apps from the right places and getting your system organized for optimal efficiency — and we'll have you up and running with a custom-tuned setup in no time. The first step is simply to decide what software you need on your Chromebook — what apps will most effectively help you get your work (and non-work) accomplished. Make a quick list of your essentials: What app or service do you prefer to use for email? Do you need an app for chatting with colleagues? 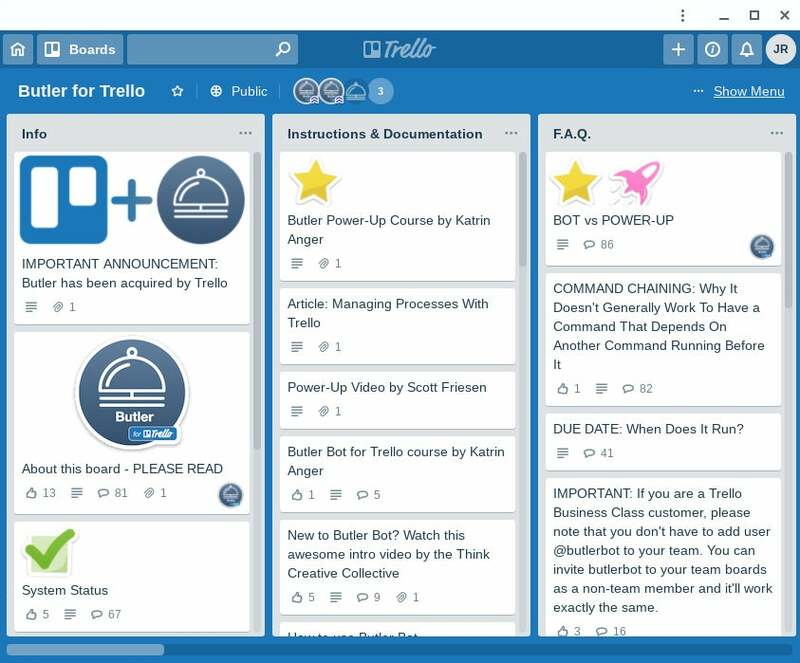 What about project management? 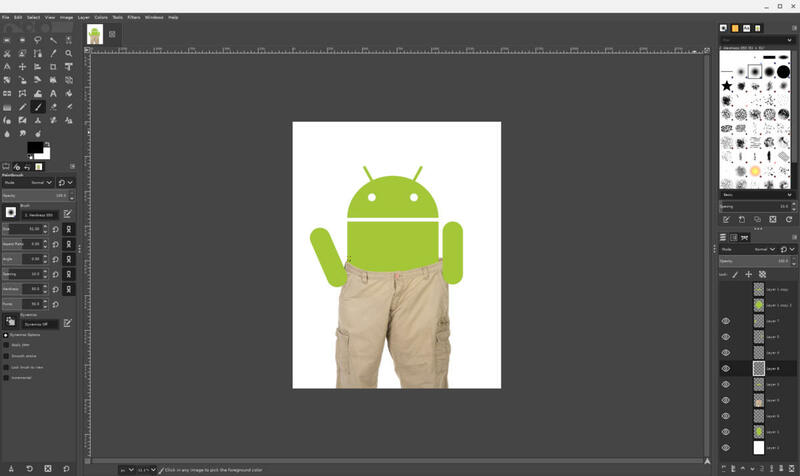 Image editing? Note taking? Word processing and other office work? In general, with most Google apps and web-centric services, you'll be fine sticking with the regular web versions — the same sites you always pull up in your browser. You can even create shortcuts to make them look and act more like apps and to keep them readily accessible: Just open the appropriate site in a normal browser tab, click the three-dot menu icon in Chrome's upper-right corner, and then select "More tools" followed by "Create shortcut." Give the shortcut whatever name you want — and if you'd like it to open in its own app-like window instead of a standard browser tab, select the "Open as window" option. If you want to get really advanced and customize the app's icon and even the color scheme of its window, follow the steps outlined here. We've heard a lot of buzz lately about progressive web apps, or PWAs — apps that install directly from the browser and then look and act like regular desktop apps, with their own standalone windows and shortcuts, speedier start times, and built-in support for offline use. PWAs can be a nice alternative to regular web apps, but the problem is that there just aren't a ton of worthwhile options at this point — nor is there any spectacular storefront for browsing through available options. If you regularly use Twitter or Spotify, both services offer PWAs that are worth your while. 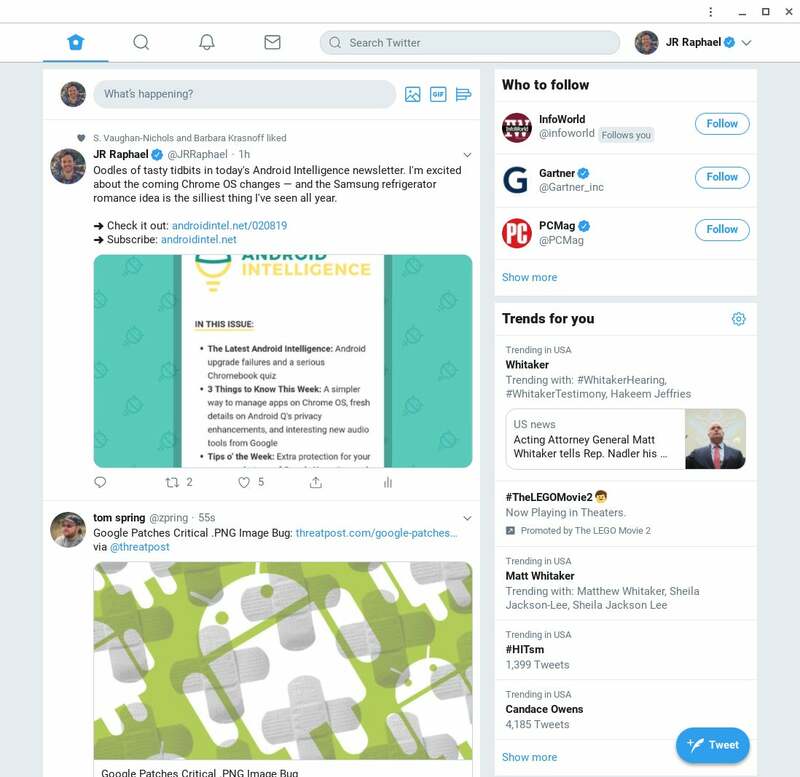 For Twitter, you'll want to open the site's mobile version, then click the three-dot menu icon in your browser's top-right corner and select "Install Twitter" from the menu that appears. For Spotify, you'll want to open the dedicated PWA site — then click Chrome's three-dot menu icon and select "Install Spotify." So you've got some regular web apps and maybe a progressive web app or two — excellent. 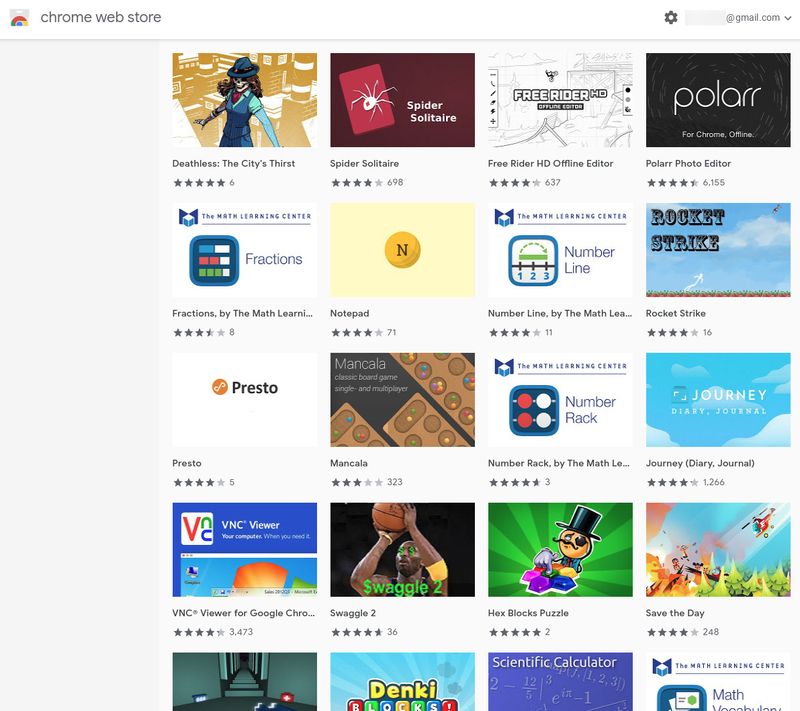 Now open up the Chrome Web Store and see if there are any titles there that'd be beneficial to you. In short, Chrome apps are small programs that use the Chrome browser as their base but look and act like native desktop applications and are relevant only to Chrome OS. The Web Store also boasts an array of cross-platform browser extensions, which are add-ons that bring a variety of useful functions into your regular Chrome windows. You can certainly look through the extensions — and you might find some intriguing options, such as Text Blaze, a time-saving typing tool that brings desktop-like text replacement into the Chrome OS environment — but mostly, I'd suggest looking at offline-capable apps, especially if you think you might find yourself using your Chromebook without an active internet connection at least some of the time. Services such as Gmail, Google Docs, and Google Drive offer their own built-in offline options (though do be aware that you'll need to enable the offline option in each of those services before it'll work; here's how to do that for Gmail, for Docs, and for Drive). Most Chromebooks also now come with a handful of preinstalled offline-capable apps, including a calculator, a plain text editor, a basic image editor, and a file manager; all of those should be in your device's launcher and ready to roll right out of the gate. For anything beyond that, browse through the Web Store's offline-ready section to see what you find. Note-taking services such as Any.do, Google Keep, and Wunderlist all have offline-capable apps available there, as does the popular article-saving service Pocket. You'll also find photo editors, voice recorders, and even a variety of games that'll work with or without an internet connection. Another category of software that works offline and adds interesting possibilities into the Chrome OS environment is Google's sprawling collection of Android apps — all the same stuff you'd install on your Android phone, from the very same Google Play Store storefront. 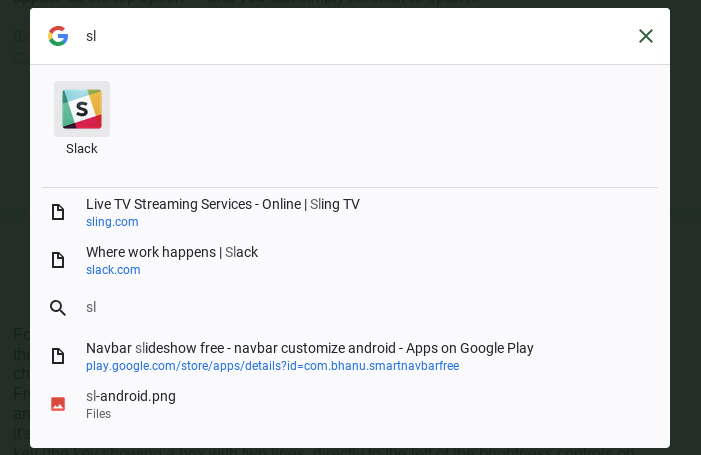 Most current Chromebooks support the Play Store and offer it as an option within the Chrome OS launcher; if you don't see it on your device, try opening up your Chromebook's settings and searching for "Play Store" in the box at the top. If an option labeled "Google Play Store" comes up, click it and follow the steps to enable its presence. If no such option appears, your device is probably among the remaining crop of Chromebooks that doesn't support the feature. The trick with Android apps on Chrome OS is to know which apps are worth getting — which, in other words, will actually enhance your Chromebook experience in some meaningful way. Especially since so many Android apps are also available in web-based forms, figuring that out isn't always easy. I maintain an evolving list of Android apps for Chromebooks that aims to identify the most worthwhile titles. Among the apps I'd recommend installing from the Play Store are Microsoft's Office utilities (provided you have an Office 365 subscription and prefer Word and its counterparts over the Google Docs family), Evernote (if you enjoy using that service for note management), and Skype (if you rely on Skype for any sort of video communication). Microsoft's Outlook app for Android is also in many ways superior to the service's web version, and the Google Calendar Android app will let you access your calendar offline — something its web-based brother won't do. There are plenty more noteworthy options in the list, and it's updated regularly with new recommendations. The last type of app to consider is the newest addition to Chrome OS and one that's still available only on a limited number of systems. It's also the most complicated to navigate — but not to worry: I've got you covered. First, click over to my Linux apps on Chrome OS guide to see if your Chromebook is even compatible with Linux apps — and then to learn how to enable Linux support for it, if it is. Then, look through my evolving list of Linux app for Chromebook recommendations to see which titles might be right for you. 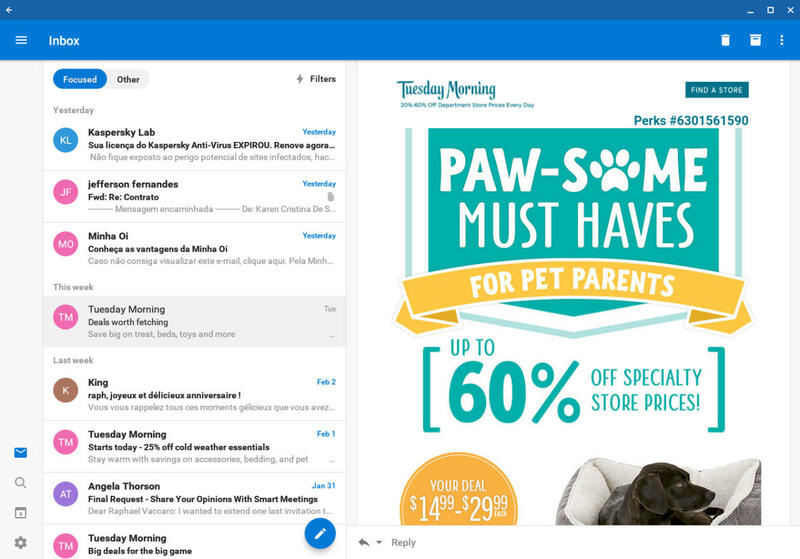 From a true native desktop Slack app to a Photoshop-caliber image editor and an Outlook-reminiscent email/calendar client, oodles of valuable options await. With your apps all set, our next step is to get everything organized so you can access what you need with a minimal amount of ongoing effort. 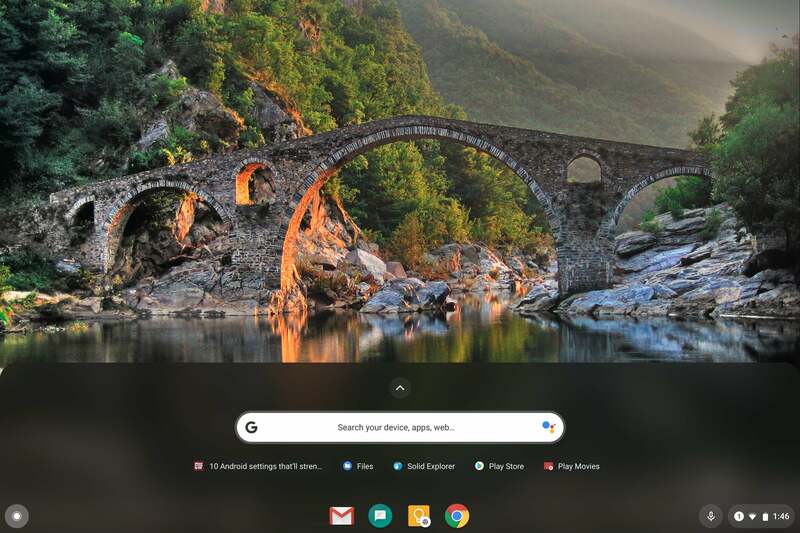 Chrome OS may not have a desktop in the traditional sense, but it does have two important areas for app storage, as we discussed at the start of this story: the launcher, or app drawer, and the shelf — the tray of docked icons at the bottom of the screen. The launcher is where everything installed on your system appears. You can open it by either tapping your Chromebook's Search key or clicking the circle-shaped icon in the lower-left corner of the screen and then clicking the upward-facing arrow in the partial drawer that appears. If your device is a two-in-one that converts into a tablet — by swiveling the screen around past the 180-degree mark or by detaching the screen from the keyboard completely — the launcher will remain open on your desktop by default whenever it's in a tablet state. You can drag and drop icons throughout the launcher to change their order or drag icons atop other icons to form folders and organize things in any way you like. Truthfully, though, you probably won't need to browse through that area too often; it's far faster to simply tap the Search key or click the circle-shaped icon in the lower-left corner of the screen and then start typing the name of the app you want. After one or maybe two letters, it should appear as the top option — and you can simply hit enter to open it. Using the Chrome OS launcher's search function is a fast way to open any app, anytime. For apps you open often, find them in the launcher, right-click (or two-finger tap) them, and then select "Pin to shelf." Once the icon appears in your shelf, you can drag and drop it to change its position. Pay careful attention to that, as each position holds a hidden shortcut: From anywhere in the system, you can press Alt and the number key corresponding with an icon's placement in your shelf to open the associated program (or shift your focus to it, if it's already open). Between the Alt-number key shortcut, the Alt-Tab app-switching command, and the Overview key (the key showing a box with two lines, directly to the left of the brightness controls on your keyboard), opening and moving among apps on Chrome OS can always be swift and snappy. Congratulations! Your Chromebook is officially stocked, organized, and ready to help you get stuff done. All that's left to do now is think about learning some advanced tricks for getting around Chrome OS and taking advantage of everything it has to offer. First of all, Chrome OS is filled with useful shortcuts beyond the few mentioned above. You can capture a screenshot by holding down Ctrl and then pressing the Overview key, for instance — or if you want to capture a specific area of the screen instead of the entire display, hit Ctrl, Shift, and the Overview key together and then use the on-screen guides to select any area you want. Setting up Google Smart Lock. The system lets you use an Android phone as a time-saving key to sign into your Chromebook without sacrificing much security. Mastering all of my efficiency-enhancing Chromebook tips. From faster ways of getting around to out-of-sight options for managing apps, windows, and files, my collection of Chrome OS advice is a resource you won't want to miss. Cranking up your Chromebook's cloud-connecting power. A few simple tweaks that'll make your Chromebook an even more connected part of your cloud-centric setup. Setting an annual reminder to perform a 15-minute Chromebook tune-up. A little bit of easy maintenance will go a long way in keeping your Chromebook in tip-top shape as time goes on. Last but not least, if you want to get Google-centric tips and insight all throughout the year, take 20 seconds now to sign up for my Android Intelligence newsletter. It'll bring all sorts of next-level knowledge to your inbox every Friday — just one email per week, from me to you.